Ants in the subtribe Attina belong to a monophyletic group, exclusive to the New World, that contains approximately 250 described species. All attine ants have a mutualistic relationship with the fungus they cultivate as food source. The present study provides a natural history and ecological account of five species of fungus-farming ants in the Brazilian Atlantic rainforest: Mycocepurus smithii, Mycetarotes parallelus, Mycetophylax morschi, Sericomyrmex parvulus, and Sericomyrmex saussurei. Specifically, we investigated nesting and foraging behavior and daily activity rhythms, and identified the substrates collected for fungiculture. Nests of all five ant species studied consist of chambers excavated in the soil, with variation on external appearance from inconspicuous holes in the ground to entrances surrounded by mounds of excavated soil pellets. S. saussurei was mainly nocturnal, M. morschi was active all day, and the other species presented diurnal activity. All species foraged exclusively on the ground and near their nests. All five species collected substrates of animal origin (mainly arthropod feces) and vegetable matter on which to cultivate their fungus gardens. 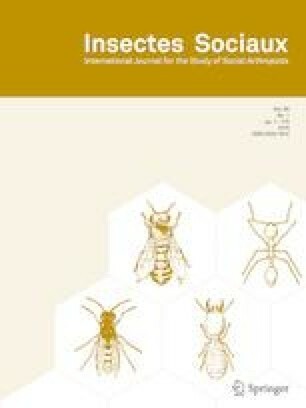 Data on basic biological features of these ants, which represent phylogenetically diverse lineages, contribute to a better understanding of their mutualistic relationships with their fungal symbionts and of the evolutionary processes that produced the derived characteristics in the subtribe Attina. Additionally, this study adds to our knowledge of the natural history of fungus-farming ants in Atlantic rainforest and increases our understanding of their roles in this threatened biome. We thank Ted Schultz for valuable comments on the manuscript. The Parque Estadual Serra do Mar (Núcleo Picinguaba) and the Instituto Florestal do Estado de São Paulo provided logistic support, and Eliane Rodrigues gave permission to work at the Pousada Betânia. We thank G.H. Migliorini and A. Tacioli for helping during fieldwork, A. Ješovnik for identifying the Sericomyrmex species, H. Soares Jr. for helping with the photos; A.V. Christianini, F.B. Noll and M.S.C. Morini for comments at early stages of the study. M.U.V R. was funded by the Coordenação de Aperfeiçoamento de Pessoal de Nível Superior (CAPES), R.M.F. was supported by the Conselho Nacional de Desenvolvimento Científico e Tecnológico (CNPq 302462/2016-3), and P.S.O. was supported by the Conselho Nacional de Desenvolvimento Científico e Tecnológico (CNPq 306115/2013-1, 302219/2017-0) and Fundação de Amparo à Pesquisa do Estado de São Paulo (FAPESP 2014/23141-1, 2017/16645-1).